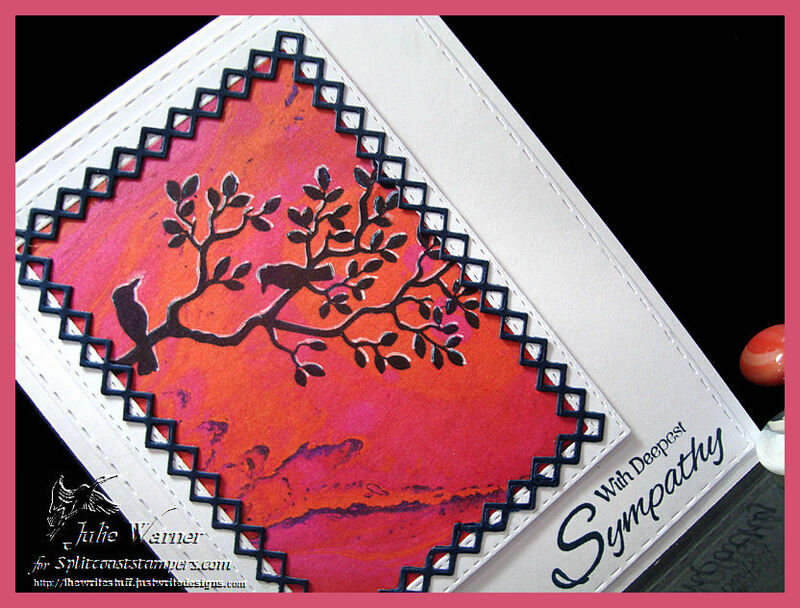 It’s my pleasure to host the Splitcoast Featured Stamper Challenge (FS632) this week! 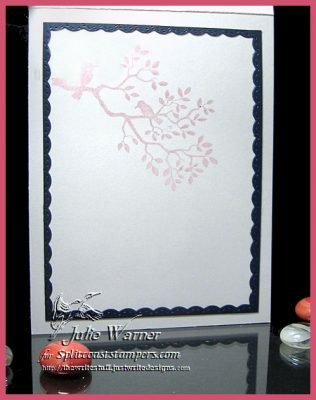 A big congrats to Liz, the newest Featured Stamper! She has such a fun gallery & after much browsing, I chose THIS to case. 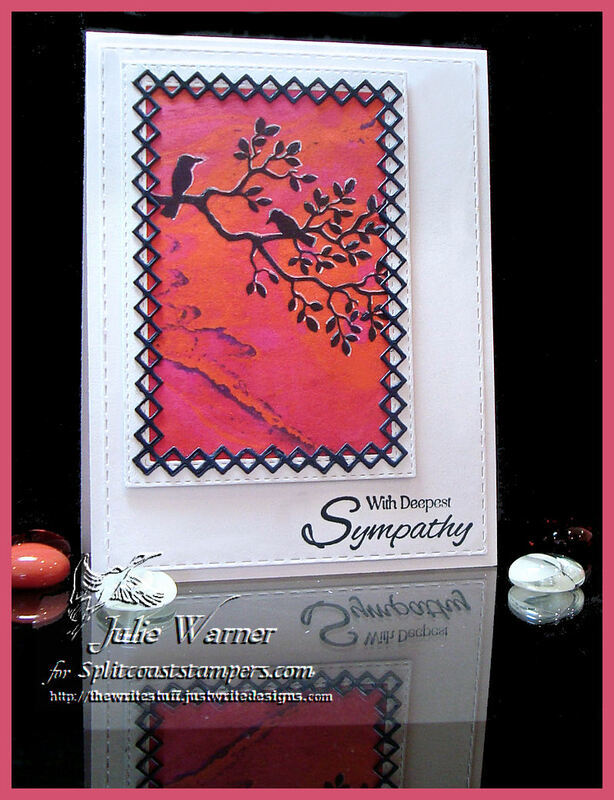 I kept most of the layout w/ the wide white frame, but I used different images & colors & made mine a sympathy card. For my CAS sympathy card, I found a piece of paper I hand marbled ages ago. 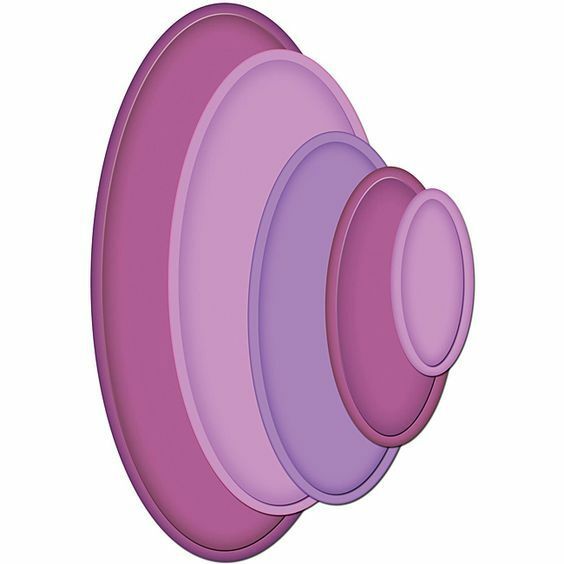 It was in oranges & pinks w/ a dk blue vein running thru it & I copied it onto a piece of neon pink paper. 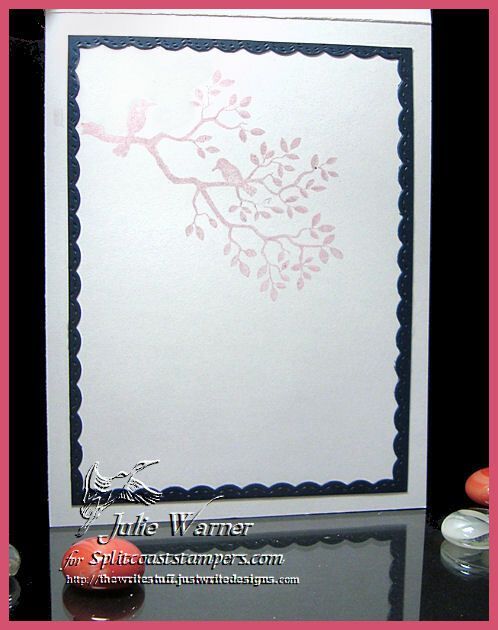 I stamped the birds on the branch directly onto this using very dark navy ink. I used a white gel pen to add highlights then added a white frame & a navy diamond cut frame. I combined 2 Splitcoast Challenges, the Clean & Simple (CAS486) & Technique Challenge (TLC695). 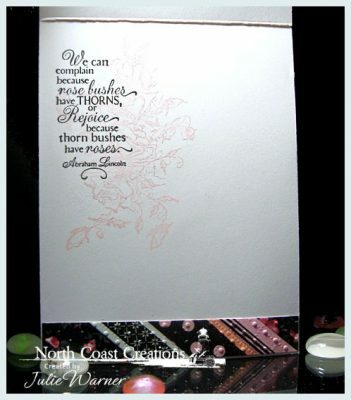 The TLC was to cover card stock w/ washi tape, then emboss it. The CAS was to make a celebration card. It may not look like a celebration card, but it is…while I was making this, my aunt called to tell me my uncle had passed away. My aunt & uncle are twins so I’m sending this to her. So I guess my card is more a celebration of his life than a sympathy card. He hadn’t been sick, in fact he played a LOT of golf & did a LOT of bowling, but life is like that, I guess. Anyway, I didn’t have as much washi tape as I thought but I found a couple w/ black patterns, some pink & pale green & some black glitter so that’s what I used. 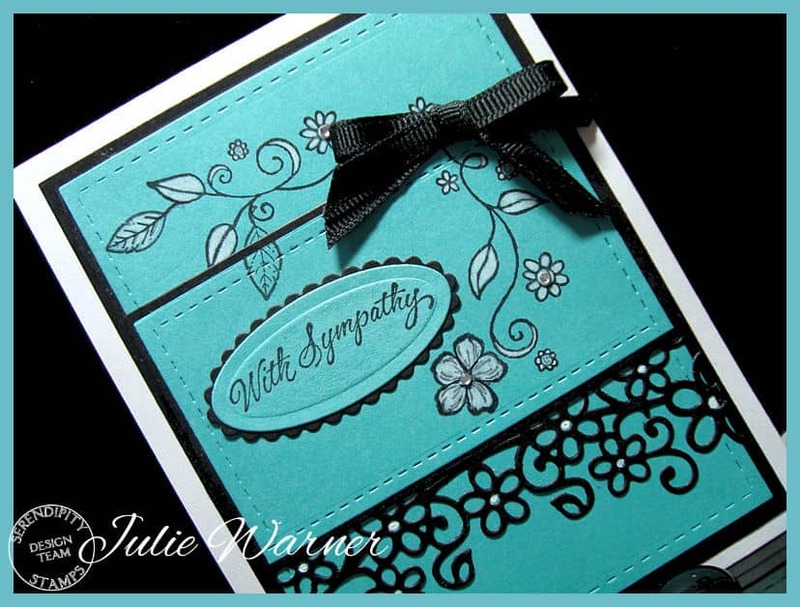 It was embossed w/ Swiss dots then framed w/ a pale mint green & the greeting added. Here’s the inside. 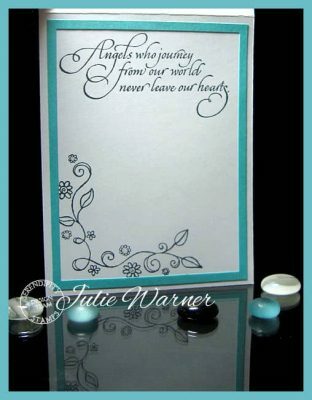 My aunt will get the quote…we can cry that he’s gone or rejoice that he lived. Serendipity April Blog Hop #1! 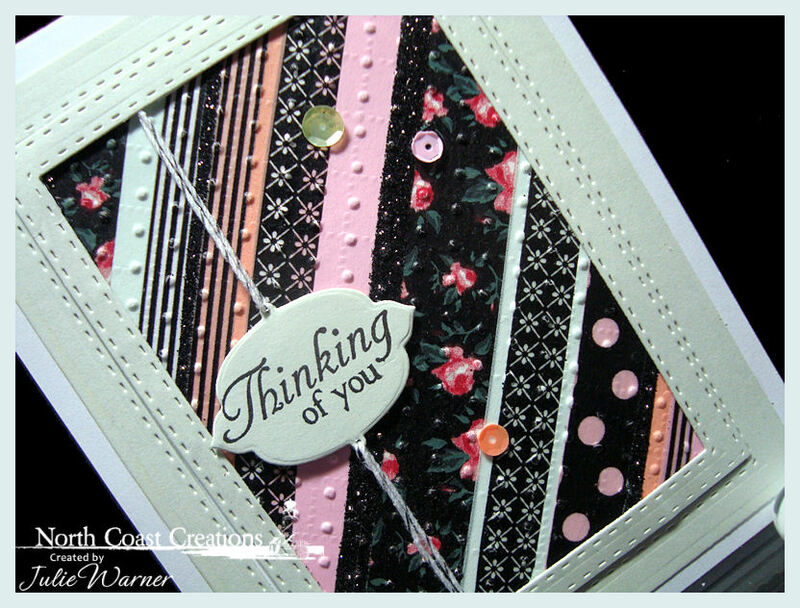 Welcome to the April #1 Blog Hop for Serendipity Stamps! 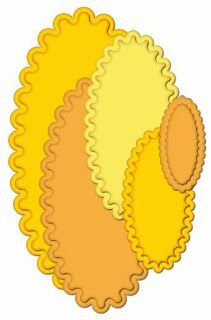 The Prize – One $20 gift code will go to one random commenter from the blogs. So be sure to visit all the blogs because you don’t know which one the winner will be drawn from. 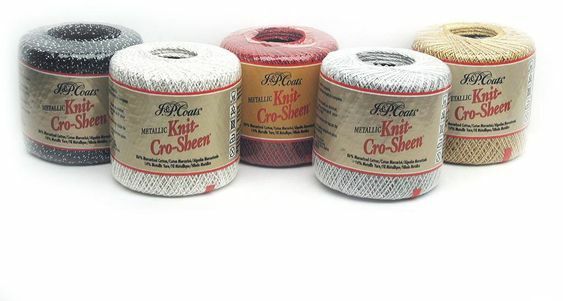 You have through Sunday April 8 to leave comments on the blogs for a chance to win. Mary will announce a winner on April 9 on her Blog. On the first & third Wednesdays of every month, we’ll be celebrating with a Blog Hop! 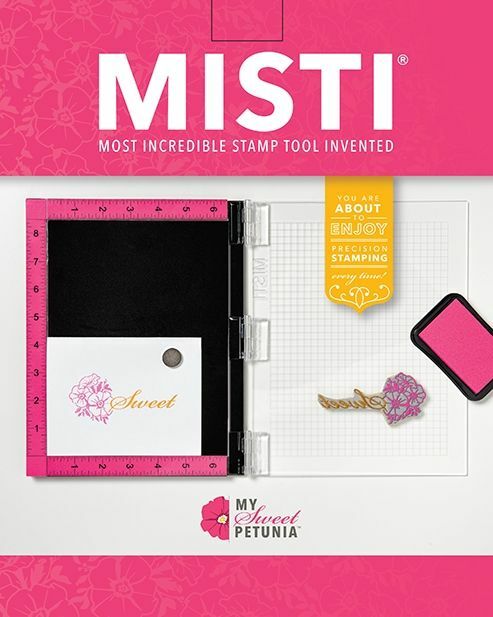 The Special this month is the Morning Glory stamp – 50% off! 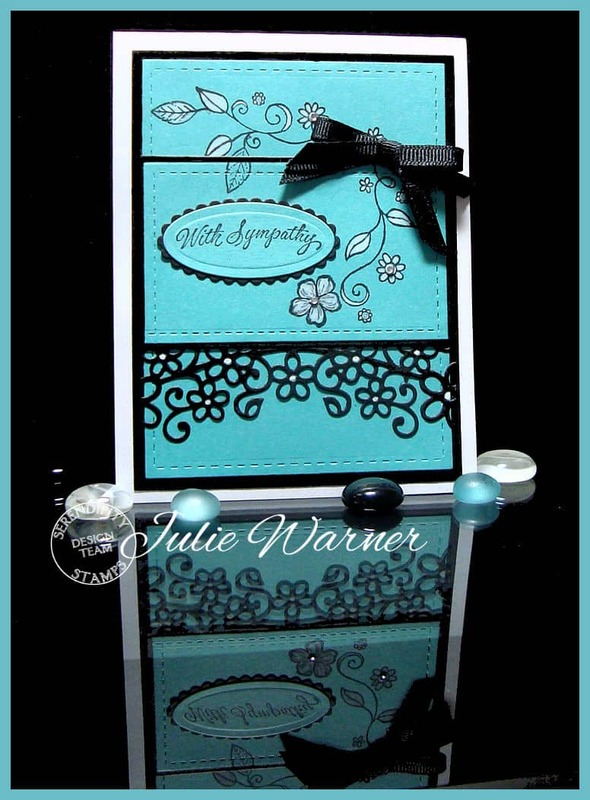 For my sympathy card, I die cut the 2 turquoise panels, put the larger one into my Misti & stamped the Flower Corner & Leaf. Just a little white pencil was added in areas then I lined up the smaller turquoise panel & stamped the bottom part only of the same Flower Corner & also the Tiny Flower . 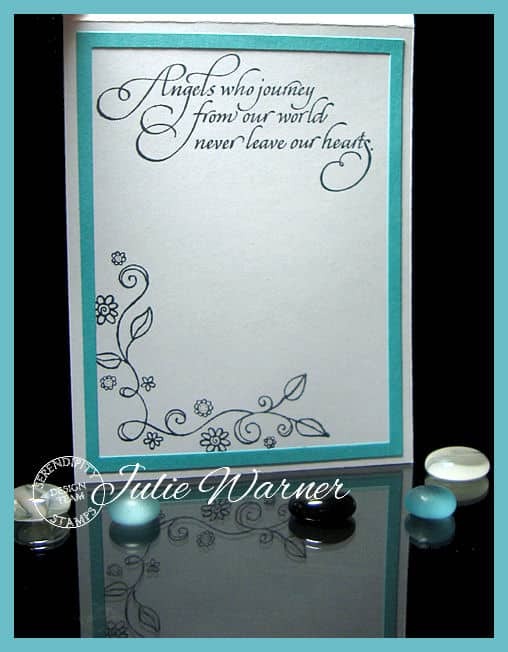 I added a narrow black mat under the horizontal panel & a portion of the Daisy Border die. A small black bow & a few rhinestones finished it. Please be sure to comment on all the blogs..it is much appreciated & also increases your chances of winning!